"Nico Sirsky breathed deeply, concentrating on his stride. His arms were bent at ninety degrees, and his eyes were focused straight ahead. The harsh cold bit his cheeks, but he kept a good pace, pain notwithstanding. He had been shot int he leg a few months earlier, and he was still recovering from the injury. The endorphins raced through his body. The effort felt good." 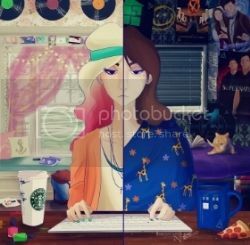 I just have to say that I really like the cover for Crossing the Line. I love the use of space, colour, and the contrast that really highlights the photo and helps it "pop". It's simple yet definitely stands out. When I first received Crossing the Line I was a little worried about the fact that it was the 2nd book in a series. I wasn't sure what to expect, where the story would start off, or if I would be able to follow without feeling like I was missing key information. None of this was the case, even though it's the 2nd book this can easily be read as a standalone and you won't feel lost and confused. I laughed, so hard. It's not funny but I think it was just the irony of the situation that really got to me. The plot was well thought out and executed perfectly, I didn't come across sections that felt like fluff. What made this the ideal mystery and suspense novel was the fact that I felt like I was constantly kept on my toes. I tried guessing how it would all end and I was most certainly wrong! I've never been to Paris, so what I really enjoyed was Frédérique Molay's ability to bring the story to life! 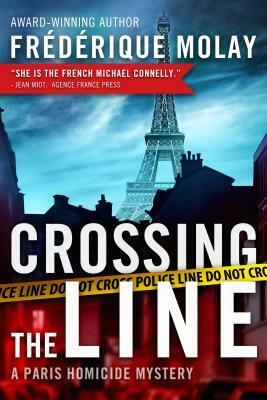 I felt like I was in Paris it was like having my own personal tour guide with a side of crime.There was only one thing I really struggled with while reading Crossing the Line, and that was being able to connect with the characters. For me I found they lacked depth and were just one dimensional. Maybe I was expecting too much, but I feel there was room for improvement on the characters growth throughout the story. Overall, Crossing the Line was an enjoyable read that kept me on my toes! I look forward to picking up the first book in this series and The City of Blood which comes out January 18th, 2015! If you want to read a great mystery book that isn't extremely predictable than I suggest picking this up! Click HERE to follow the blog tour!! Science Po and began her career in politics and the French administration. She worked as chief of staff for the deputy mayor of Saint-Germain-en-Laye, and then was elected to the local government in Saône-et-Loire. Meanwhile, she spent her nights pursing a passion for writing she had nourished since she wrote her first novel at the age of eleven. The first in the Paris Homicide series, The 7th Woman, won France’s most prestigious crime fiction award and went on to become an international bestseller, allowing Molay to dedicate her life to writing and raising her three children. Review: Make It Right + Giveaway!